October already? I wish I could wax poetically about the changing of the seasons, but here in South Florida, it is hot. Like suffocating, flip flop wearing, still needing pool time to cool off hot. So instead of ogling my friends pics on Facebook who are sharing the gorgeous fall foliage in their backyards, I thought I’d share some of the highlights from last month. You know, my favorite things in September! I tried some great makeup this month, a new protein powder that is so delish, and received some killer presents at my epic birthday party! So let’s dive in and check out what’s hot in our house these days! I found this lip gloss at Sephora and am totally smitten. 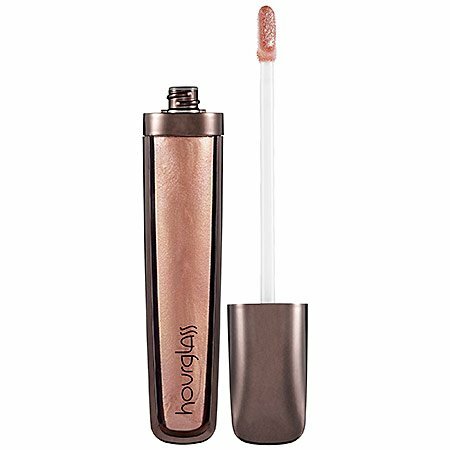 I love that it lasts super long and really hydrates your lips, plus it is a vegan company that doesn’t test on animals. Their Modernist Eyeshadow/Brow/Liner compact totally rocks too, but I had to toss mine because I caught my daughter’s pink eye and I think it was contaminated. Total bummer! (I loved Exposure – purple palette!) By the way if you want to see what makeup I love to wear on camera, you can catch my scope on it here! 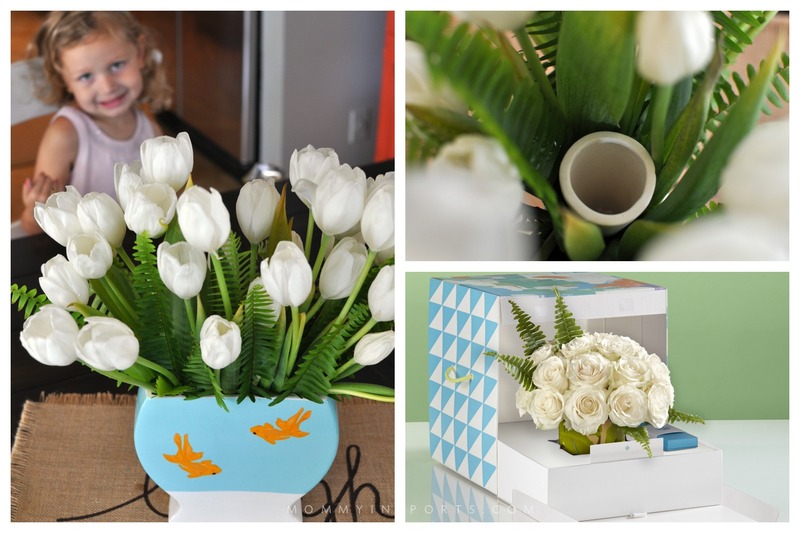 I recently heard of Miami’s newest florist OLYVE when Vivica A. Fox had their gorgeous arrangements at a baby shower she hosted. I was overjoyed when they sent me this lovely arrangement last month. The beautiful tulips came in gorgeous packaging and really are quite unique. There’s a small watering hole buried in the middle of the the flowers for you to add water everyday, and I just adore the ceramic piece they chose to hold the arrangement. You can even upload a photo or video message to the person you are sending flowers to after the delivery is made. I’d say give them a try and #OPENOLYVE! I felt pretty blessed to celebrate my birthday this past month with so many friends and family members! The lovely gifts were icing on the proverbial cake. 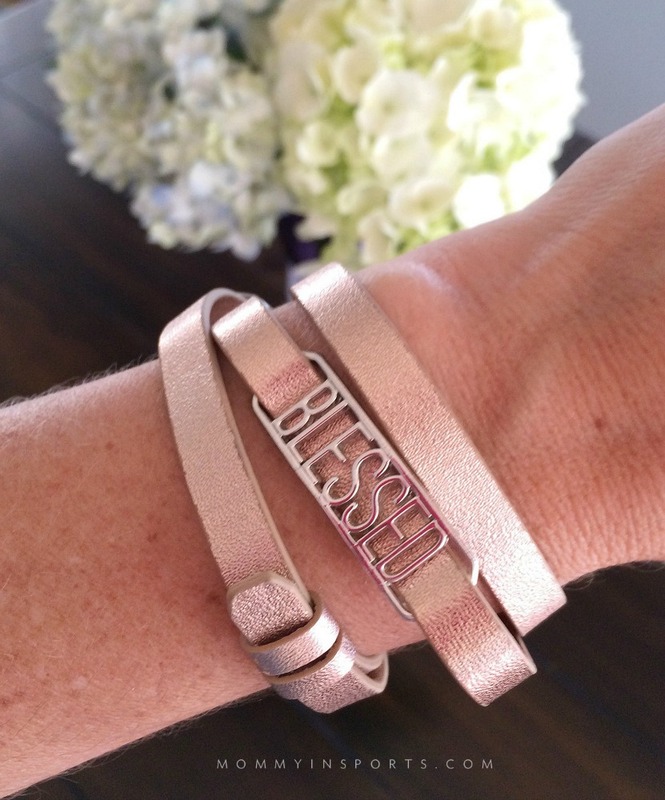 This Origami Owl wrap bracelet came from my friend, Lenette. 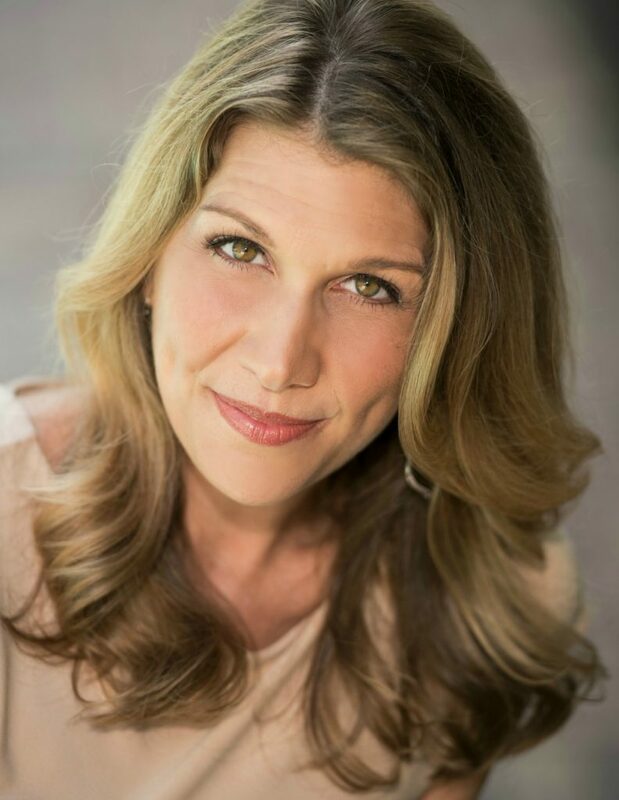 Check out her site, she’s awesome at helping you find gifts for almost anyone! Speaking of jewelry, have you heard of Taudrey? 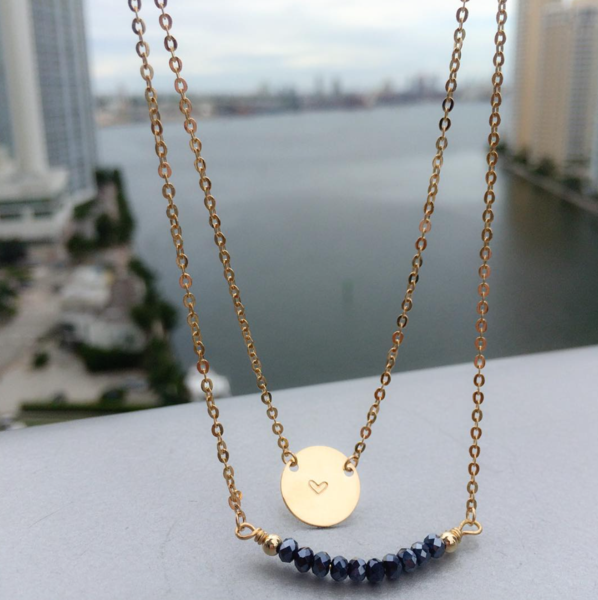 They’re a jewelry company based in South Florida and I’m obsessed with their gorgeous Instagram account. I just saw this necklace recently and have to get one! It’s only $42 and totally custom, so you can have your initial stamped or pick a symbol, and choose the stone color. It’s cute solo or you can layer with a longer piece. Keep your eyes peeled for sales they have sometimes too! And if you don’t believe in the power of social media, you are missing the boat. Taudrey hooks me every time. But then when I opened The Lux Puff I loved it. 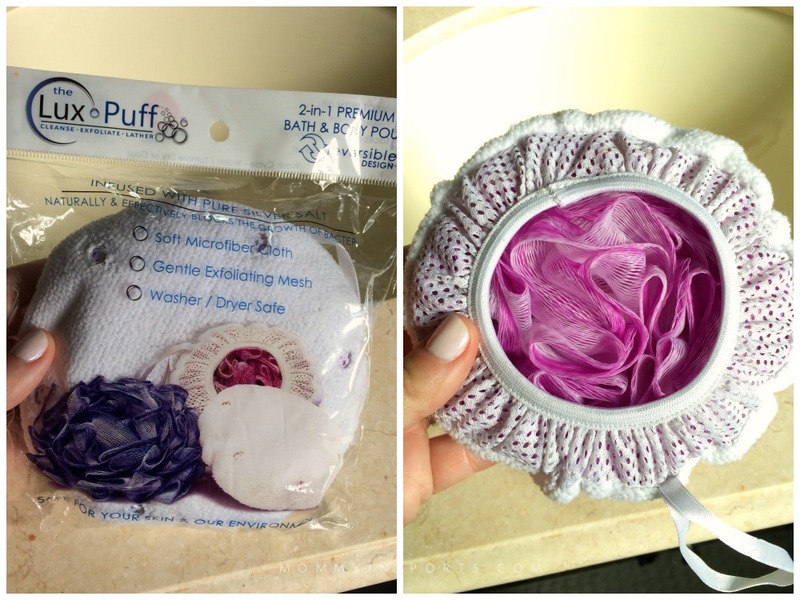 It’s a reversible bath scrub so you can exfoliate, or use the soft microfiber cloth. And bonus, they infused it with pure silver salt to naturally block the growth of bacteria. So no mold, and no scratchy surface if you don’t like “poofs” as my husband calls them! The girls liked the soft side as well making this a win in our house. You can buy one for $7.99 on TheLuxPuff.com, or 2 for $15.99 on Amazon. Might be a really cute teachers gift with some body wash! I love biographies, I’ve been hooked on them since middle school. And the past few years I’ve gravitated to really good sports heroes. I’m a little late to the party on this bestseller, but I couldn’t put down Andre Agassi’s autobiography OPEN. I highly recommend it if you’re a tennis fan, or a fan of cutie patootie Andre. Plus I love how candid he was not only about his sport, but how he eventually won the love of his life, Steffi Graf. You will be transfixed if you read his story. Now that I’m back to working out, I totally needed a heartier protein to fill me up after training. 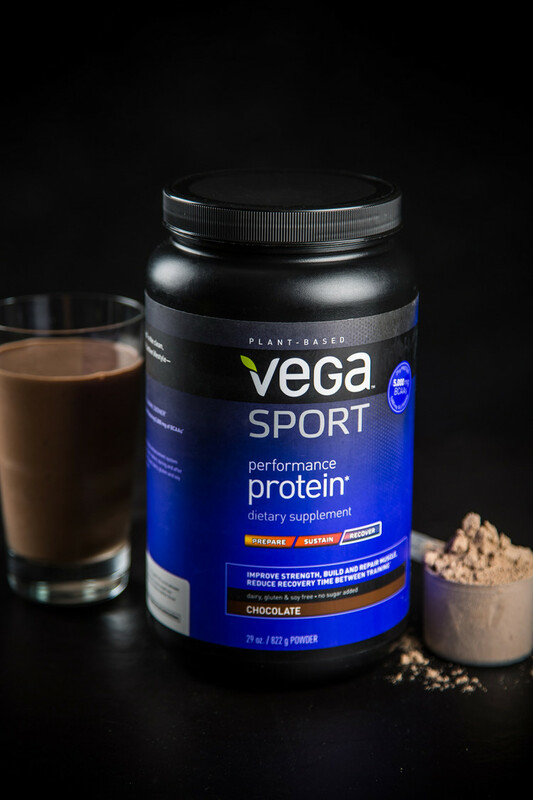 I’ve always used Vega One because it’s dairy and soy free, but I’m in love with their new Vega Sport Performance Protein. 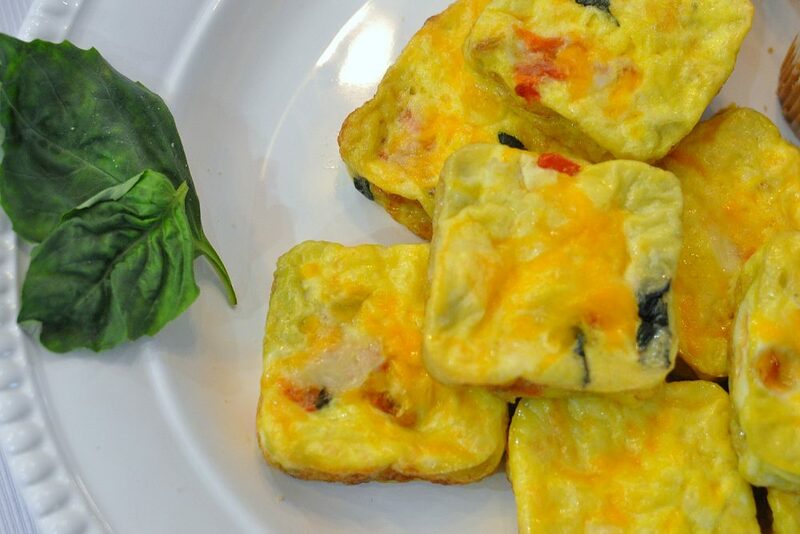 It has 25 grams of protein per serving and is still really yummy. Here’s my still go-to smoothie recipe Chocolate Berry Bliss! 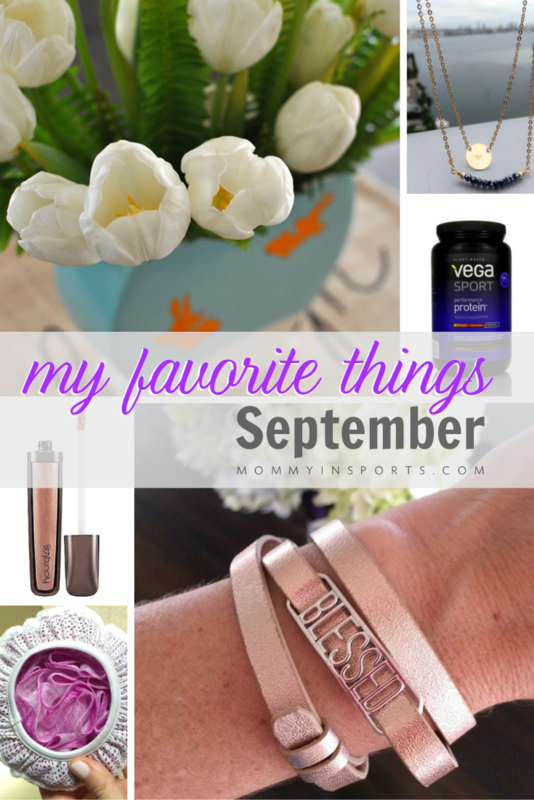 So those are my favorite things I’ve discovered in September. 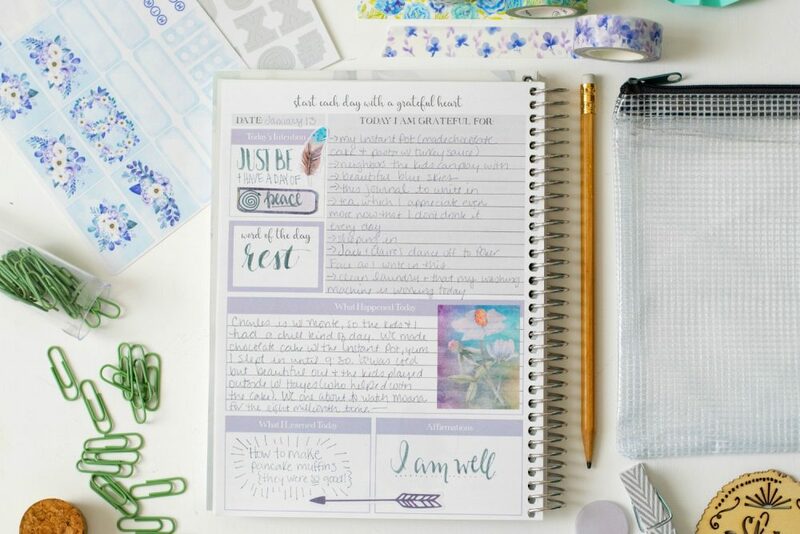 I hope you love some of these products as much as I do, or at the very least you were inspired to try something new! 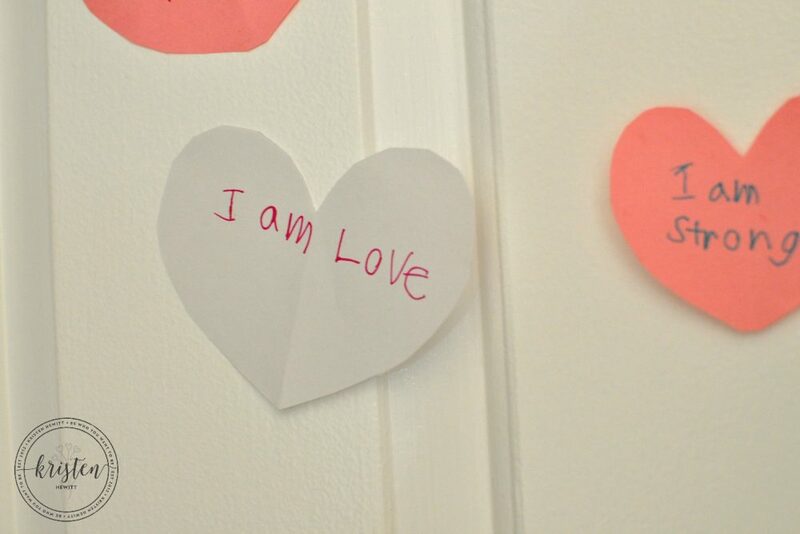 what are you loving these days? if you liked this post please click below! The container for those flowers is really pretty! There is something that makes me so happy about having an arrangement of lovely flowers in my home. I love those OO bracelets! I LOVE Lip gloss! You can never have too many! I am going to have to check out that one. I love the necklace too. Customizing it makes it a timeless piece! You had a rockin’ September and found some great stuff! 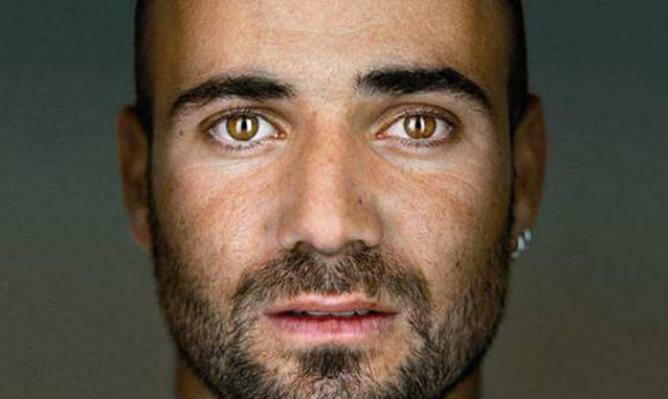 I haven’t read the Agassi book, but I need to. If you like Tennis Biographies – I highly recommend Jimmy Conner’s book. I couldn’t put it down. It was juicy. He’s soooo arrogant, but unapologetically so that it was entertaining! looks like really cool stuff! good job bringing it to us lady! 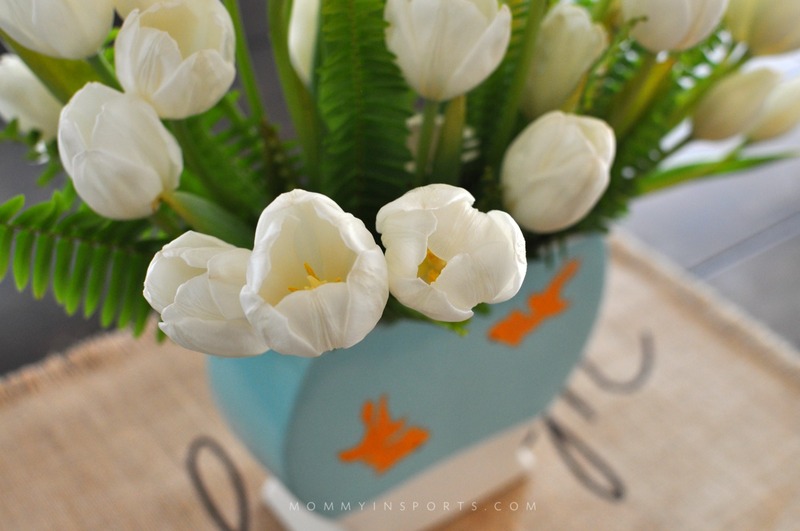 I love the vase the tulips came in! It’s adorable and so original. You’ve sold me on checking out Taudrey’s instagram account. Love that necklace! The poufs are my favorite! They are so awesome. I love protein powders and I’ve recently heard of this one, to good reviews. I always need a good lipgloss. That bracelet it so pretty! And the Olyve arrangement sounds so unique. I’d love to send something like that to my parents.